This lotion combines Micro BPO with Niacinamide (Vitamin B3), with proven ability to reduce acne blemishes and sebum growth at the source. Niacinamide's vitamin nature also allows it to avoid bacterial resistance, prolonging its effectiveness over time. More Stable than traditional Benzoyl Peroxide solutions. Can be used as a treatment on sensitive and inflamed skin. This lotion combines Micro BPO with Niacinamide (Vitamin B3), with proven ability to reduce acne blemishes and sebum growth at the source. Niacinamide's vitamin nature also allows it to avoid bacterial resistance, prolonging its effectiveness over time. 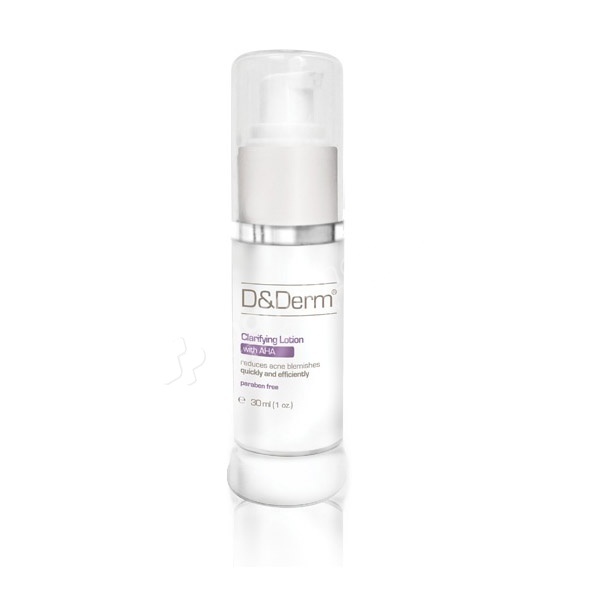 Glycolic Acid at 8% strength is also included to enhance exfoliation of dead skin cells and to improve overall skin texture. Smaller particle size(less than 10 microns) enables deeper penetration and effectiveness to reduce bacterial growth at the source. Use once or twice daily, as recommended by physician. Massage the lotion gently, avoiding contact with delicate eyes.